Thinly sliced zucchini is slicked with a light vinaigrette, bits of black olives, mint and tender greens in this fresh zucchini ribbon salad. Zucchini has taken up permanent residence at my house for the next few months; it happens every summer. Those who grow zucchini in their gardens know that come summer they’ll have a glut of this prolific crop to unload on friends and neighbors, and having no garden of my own I’m one of the willing takers. In fact I’ll enthusiastically grab them up at the market as well; I for one am ready for the onslaught. Zucchini is suddenly turning up in everything and reminding me once again just how under-appreciated this slender green vegetable really is. 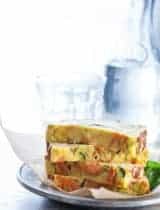 From quick breads to salads, to frittatas to soups, zucchini is the star of the summer months and making my taste buds jump for joy. If you’re one of those types with a green thumb and are looking for a way to use up an over abundant crop then I may have the answer to your endless zucchini supply. 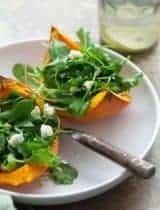 This salad is a staple in my house during the season. The slender green summer squash with its delicate flesh is easily transformed into something special with just a few basic ingredients. 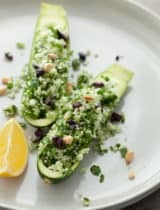 Ribbons of zucchini are barely slicked with a light vinaigrette of lemon juice and olive oil, little bits of black olives shimmer in the midst of mint and tender greens. Pine nuts are gently toasted until light and golden and tossed in the fold with crumbled fresh goat cheese. It’s essentially just a salad of thinly sliced zucchini, but there’s something synergistic about the interplay of all the parts that makes your taste buds stand at attention. This zucchini ribbon salad is casual and satisfying, just the kind of food I like the most. It’s light yet creamy at the same time, and a minimal time investment. I think you’re going to like it, and if you’re anything like me you’ll be making it again and again all summer long. A zucchini ribbon salad with olives and mint. In a large bowl, whisk the olive oil, lemon juice, and lemon zest. Season to taste with salt and pepper. Trim the ends of the zucchini. With a vegetable peeler, shave lengthwise into long, wide strips about 1/16 inch thick. When you get to the center of the zucchini, turn it over and slice from the other side until you get to the center again. Put the zucchini ribbons in the large bowl, add the chopped mint, olives and greens, toss gently with vinaigrette to lightly coat. Top with crumbled goat cheese and toasted pine nuts. Serve immediately. I have never tried zucchini since it is not easily available in my part of the world. Wouldn't have known what to do had I got one on hand. This seems a refreshing way to start on some zucchini adventures! Yum! I am a little fixated on zucchini at the moment, and will have to try this. 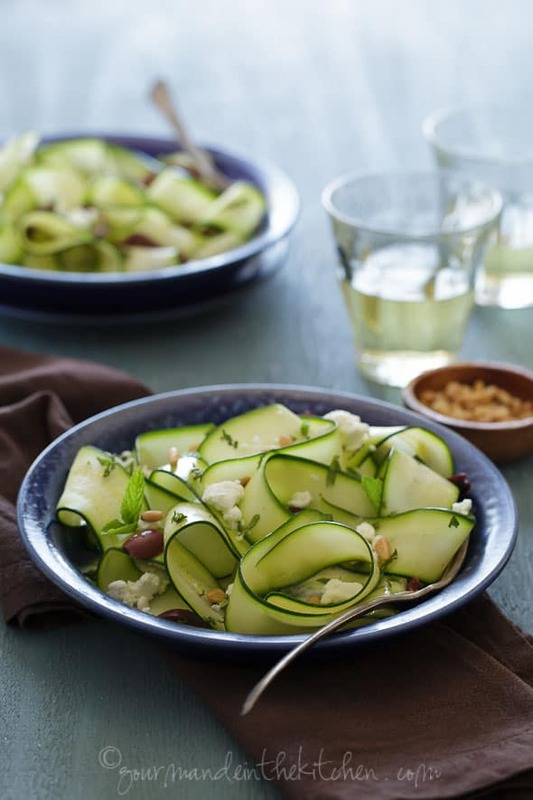 Sylvie, love the combination of flavors in your zucchini salad. I could eat this practically every day too when zucchini seems to be everywhere. I love how fresh and simple, yet so flavorful this is! And LOVE the serving platter on that second photo (loving that too). Beautiful photos. Make me want to dig right in! Fresh and healthy, yum!!! I love making a meal out of zucchini ribbons! So many great flavors to complement it and it's so healthy and refreshing on these hot days! Stuuuuuunning! Makes me wanna dance. I love the versatility of zucchini and mint is my favorite herb accompaniment! I feel cooler just looking at that salad Sylvie. You have made the ribbons so clean cut as well- perfectionist!!! This is one beautiful salad and your photos and presentation are otutstanding. I just love it. I really go for kalamata olives too. Tasty. Super! I copied this right away. The zucchini is pouring in from my garden, and relatives are coming for a 5-day stay. Perfect timing. Thank you, Sylvie. This is such a fabulous flavor combination. So creative, and so gorgeous! 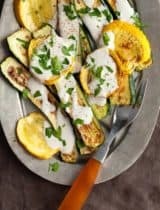 Another wonderful zucchini dish. I'm happy to see because we have in the the garden. 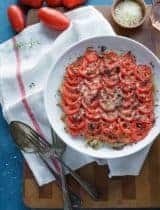 How lovely and delicious is this recipe look. I would love some right now. Totally making this. Just picked some zucchini from my garden today. Love the flavor combinations. It's simply beautiful! We don't eat zucchini that often in my home but I would like to try after reading this. Zucchini is always in my home too through summers... I love eating them raw, this salad looks so fresh and elegant. Just the way a salad should be!! What a beautiful, interesting salad for this zucchini 'freak'. It is well and truly cold, cold mid-winter here in Southern Australia, but our supermarkets still stock piles of this supposedly summer stuff, and a big bag is ordered this way every week :) ! May try for tomorrow's lunch and report!! How I wish I had friends who would give me lots of zucchini because they have grown too much! I love them :) Such a simple yet elegant salad. 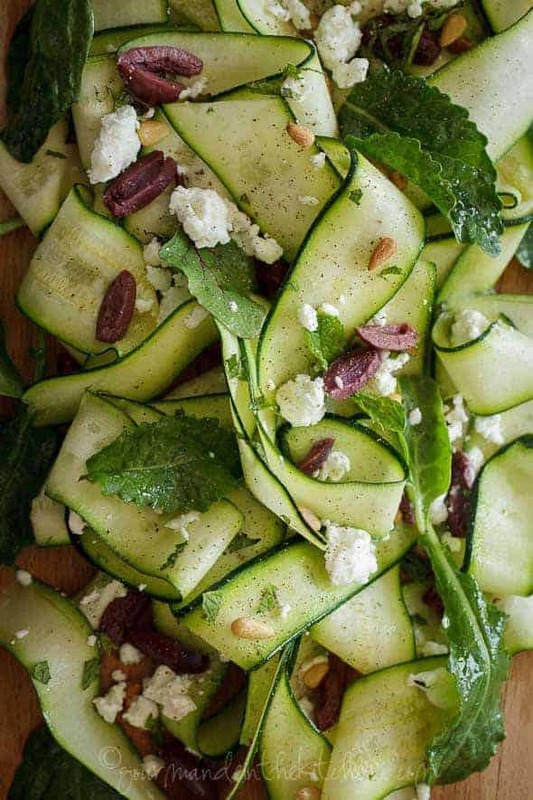 The zucchini ribbons are just gorgeous, S. And the salad sounds incredibly delicious! I love zucchini and often will use it raw in salads to - however I have to admit I prefer slightly roasting them in the oven prior to adding them in a salad. Lovely summer salad! 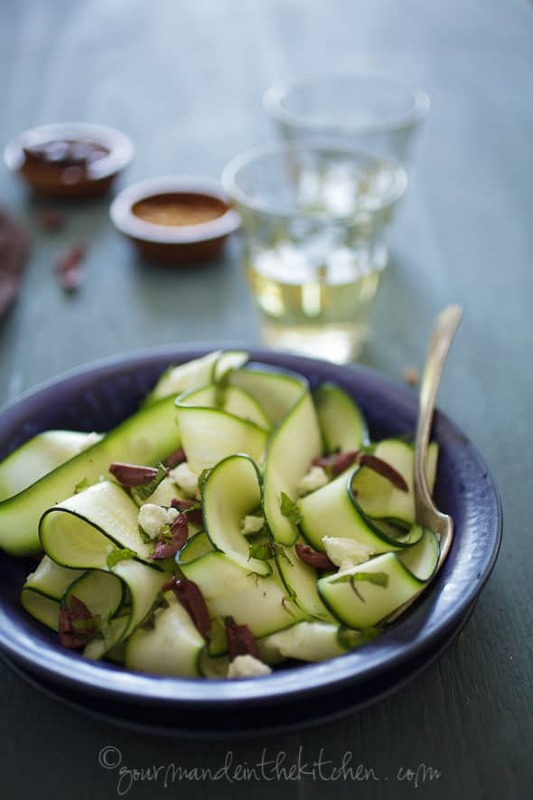 I have a recipe for courgette salad that is almost identical to this and tastes utterly divine, so I'm sure yours does too :-) Beautiful photos, as always. I remember well when I had a garden...zucchini overflowing! Your salad is beautiful, Sylvie. Fresh with the lemon and mint and a slight crunch with pine nuts. Crispy, crunchy and fresh... beautiful! A classic in my house as well. Beautiful Summer salad! This is a beautiful salad. I truly believe it starts with presentation and this salad gets a "10". And I love the idea of mint in here, really wakes up the mild zucchini I bet. Since we had so much zucchini last year in our garden, my husband decided (against my wishes!) to not plant any this year - YIKES! Must hit the market, because this salad looks amazing! Gorgeous salad Sylvie! I don't have any zucchini growing right now, but I would gladly buy some to make this simple salad. I especially can't say no to the addition of goat cheese, pine nuts, and olives. I haven't made zucchini ribbon salad (zucchini carpaccio?) in ages but lately it has been on my mind. Now I know for sure it will be on the menu this week. I love your Mediterranean twist on it with the goat cheese, olives and pine nuts. Just perfect! A glass of wine and some fresh bread and it is a meal. Love it! zucchini ribbon salad looks so elegant& beautiful! This is our first summer without an abundance of zucchini (the couple that bought our house will be enjoying it though! )but that won't stop me from making this lovely salad of zucchini ribbons and sunny flavors. one more reminder that good recipes don't need to have an endless list of ingredients but need to focus on good quality ingredients. Looks so elegant. I just realized that I haven't made any Zucchini dish using raw zucchini! This looks so simple and refreshing - would love to make it this summer. Wow, that is so beautiful, Sylvie! I made an impromptu ribbon salad for my kids tonight, from carrots. They ate it! How can something so simple be so healthy and elegant? Beautiful presentation and congratulations on making the foodbuzz Top 9! So lovely and summery. We can't wait to try it! Your photos are fabulous! I love making zucchini like this. It's so light and fresh. You can never have too many ways to use zucchini this time of year! Beautiful..simply beautiful! 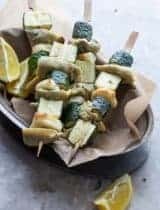 Perfect summer food! ps: congrats on making Foodbuzz's Top 9! That looks delicious! 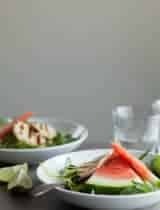 Any salad with a minty-twist is good in my book- Love the photos too! If I was stranded on a desert island with only a few provisions - this would be what I would live on. Brilliant, Sylvie! What a great summer salad. Completely refreshing and different from everything else. Love this. Zucchini is one of my most favorite vegetables so this looks perfect! Great recipe! Love the simple, clean ingredients. And as always the photos are gorgeous. Everything about this salad looks amazing! So fresh and perfect for summer!!!! Zucchini anytime..I won't mind taking off the burden of Zucchini from your neighbors ;-) Stunning clicks, Slyvie! I was so inspired by this I just had to try it so I ran to the store, got what I needed (I thought), cooked it from my memory and it turned out delicious! Even though I forgot to add the pine nuts, baby greens and lemon (just used olive oil). Must try it the proper way too some time! Thank you for adding a really nice dish to my repertoir! This salad looks so refreshing! Love the combination of flavors. I love how you did this without a vegetable spiraler! I will have an abundance of zucchini soon. Can't wait to try this! Fairly certain I'm in love with this. I need a new mandoline to make zucchini ribbons with. Must purchase soon as the zucchinis are taking over in the garden. This is absolutely gorgeous, I love the ribbons and anything with goat cheese has to be amazing. I am fascinated with zucchini ribbons. This looks like just the recipe for me to try them out...beautiful!! Lovely!! Gorgeous and healthy! Doesn't get better! I can never have enough zucchini at our house. This is on my must make list this weekend. Gorgeous! Wow! This is my kind of salad fresh and beautiful! Stunning pics as always! I love that tightly framed shot! And this salad. yum & yum! 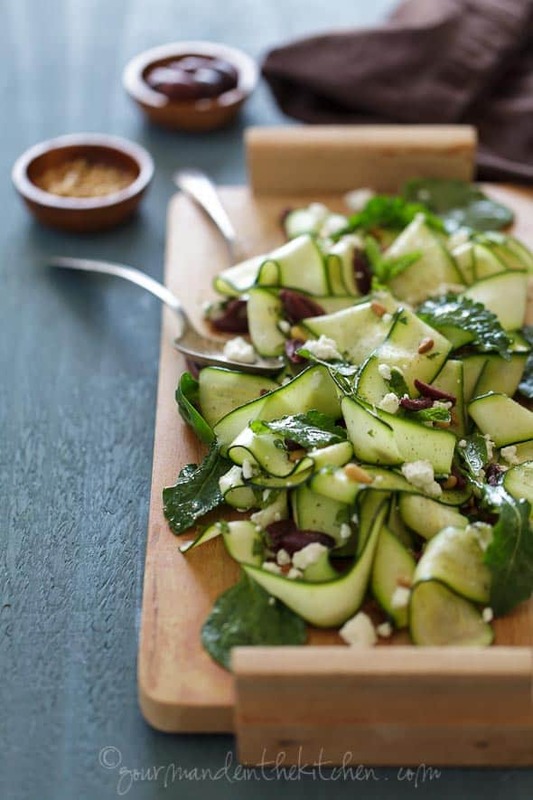 love the idea of a raw zucchini salad - perfect for these warm summer days! That is a gorgeous salad and it contains some of my fave ingredients! Oh Sylvie, your ribbons are so perfect and neat. You should see the mess I make with mine :( I'll attempt it your way shaving till the centre and then going in from the other side! 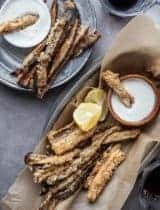 I tried this recipe first when we had 5 house guests, including my father-in-law and his brother, both in their eighties. Neither gentleman would have taken something with zucchini in it off a buffet line, and they would have walked away from something called "raw zucchini." Everyone cleaned his or her plate and asked if there was more. The dish was so successful that I was asked to make it twice more in 8 days, once for a bridal luncheon. Yesterday my wife said, "I'm putting this recipe in The Favorites file." I love hearing that. I'm glad everyone enjoyed it, it's one of my favorites as well! Looks absolutely delicious and fresh - I love the curl of the ribbons...so beautiful. Thanks for sharing another great post! I'm so happy to hear everyone liked it! Hi Sylvie, This salad looks and sounds amazing! I will be making it this weekend as soon as I buy some goat cheese! Wow, This looks so gorgeous and delicious!! What a great idea!! I bet this would also taste good with Kalamata Olives! Yum! I love when my taste buds stand at attention. Lovely photo.